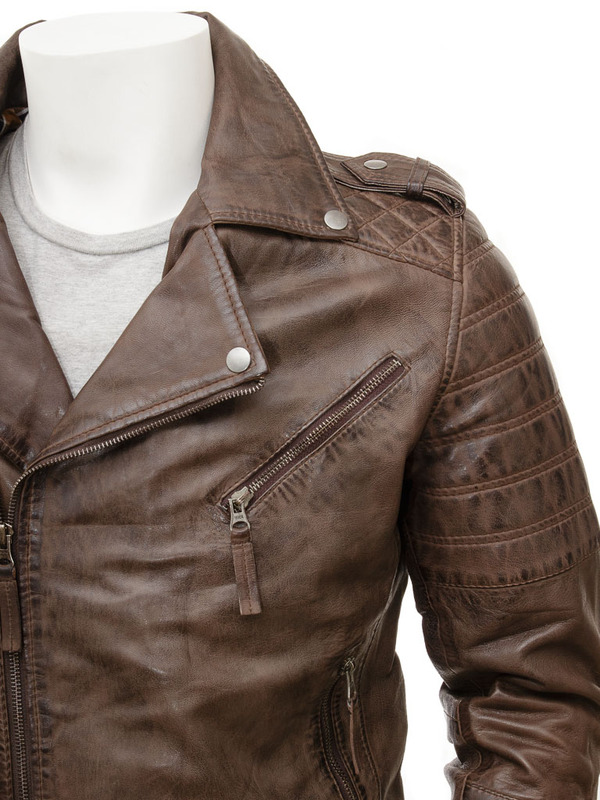 A classic leather biker style, in a vintage brown colourway. 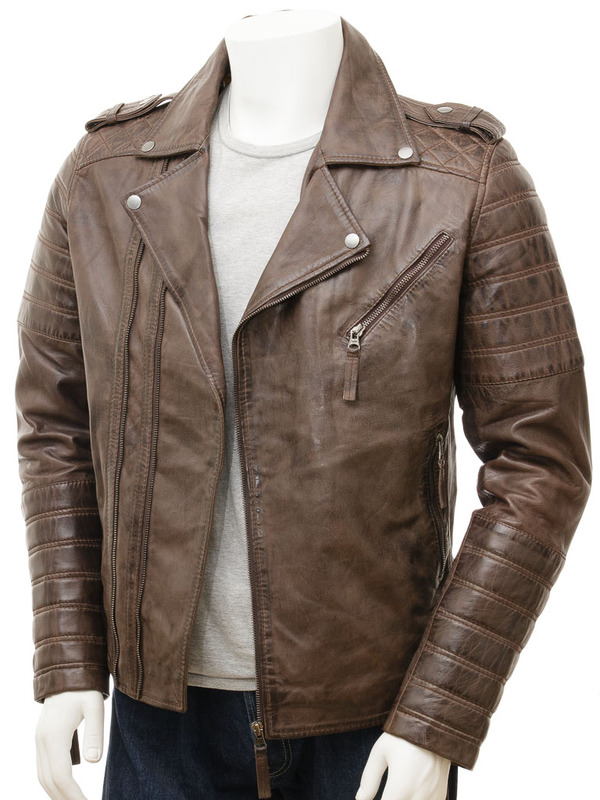 Crafted from soft, and supple sheep aniline skin this jacket epitomises all that's great about the biker style. 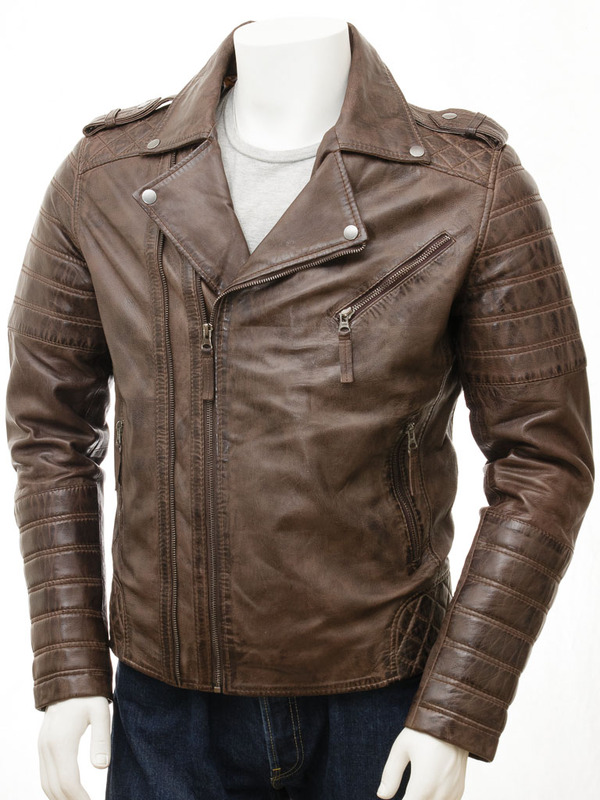 It features twin YKK zips angled across the body to allow variance to fit. Wide lapels allow the jacket to be zipped right to the throat with a high collar to protect from chill winds. 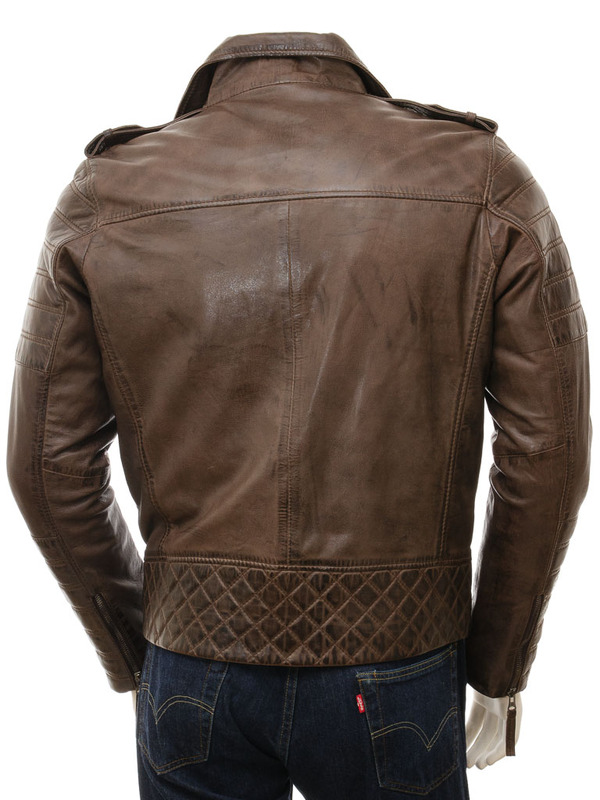 There are two epaulettes at the shoulder plus ribbed, quilt detailing down each sleeve. 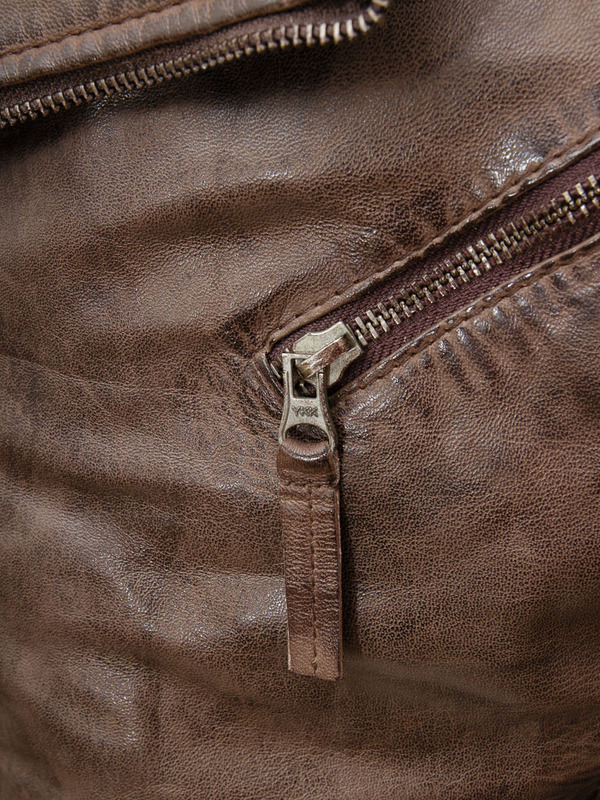 In total there are three zipped pockets on the body plus another two incorporated into the fully lined interior.